Q. Will an automatic sprinkler system water as well as I can buy hand? A. Aqua Guys will do a much better job because the system will automatically place exactly the right amount of water on individual lawn and garden areas. It never forgets to turn off the water at the appropriate time. Q. Will having a sprinkler system really save time? A. Absolutely. Your sprinkler system will do all that watering for you even when you’re away from home. You can just forget about watering and spend your time more productively. Q. We generally get my fifty inches of rain for years. Do we reallyneed a sprinkler system with that much rain? A. If it rained at your house every three days-the exact amount each time-you wouldn’t need a sprinkler system. But nature doesn’t work that way. The only way to ensure healthy lush growth is to make certain your plants are receiving the right amount of water at a regular time. 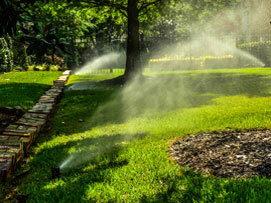 In the dry season when there’s little or no rain, your yard will suffer damage after just a few days without water. Q. Can an automatic sprinkler system be installed in cold climates like New England? Won’t the pipes freeze in the winter? A. A sprinkler system can be installed anywhere in any climate, and the pipes we install will be protected from freezing. The key is maintenance and ensuring that it is properly winterized, preventing any freeze damage. Q. Can I have an underground sprinkler system installed if I have an existing landscape/lawn system? Won’t it damage my yard? A. A minimal amount of disturbance landscape will occur during installation. Our specialized machinery installs pipes without digging a trench. Our crews are experts at restoring your landscape to its original condition. Q. Can my sprinkler system water separate areas on individual schedules? A. The sprinkler system will be set up on different zones. There couldbe different zones for the. Lawn shrubs and flowers each of these zones can have different time schedules for watering, which is absolutely ideal to accommodate your busy schedule. A. Aqua Guys are knowledgeable about such factors as a water source and pressure, soil type, planting materials and weather conditions, all of which must be considered in determining the products needed for your system. Every landscape situation is different we will customize it to your needs. Q. 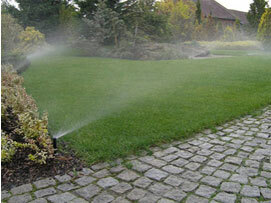 Why is it important to hire professional irrigation designer? A. This will ensure you can be certain to have the appropriate equipment for the job plus streamlining the maintenance required. To keep your landscaping in top shape Aqua guys will pay special attention to such important factors as sprinkler patterns and back flow prevention. And because we will be familiar with local plumbing and electrical codes you won’t have to worry about costly mistakes. We will do wiring and pipe installation faster with less disruption to existing landscaping, and will guarantee our work. Q. What is the rain shut off? A. It’s a device that will interrupt the program on the clock during a rain shower. It will automatically reset when it’s dry and avoid water waste. Q. Will this be too complicated for me to operate? 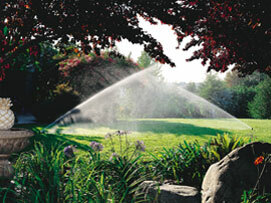 A. Sprinkler systems are very easy to operate. Aqua Guys will set the system’s controller with your individual water schedule. You just sit back and relax while the Aqua Guys do the work for you. Your watering schedule can be easily changed by following by easy instructions. The contractor will work with you to explain the system’s operation. Q. How much will the proper Sprinkler System cost? A. The price of the system will vary depending upon your customized delivery class and other factors, such as property size and type of landscaping special designs. But you can count on Aqua Guys to design and recommend the right system for you at the lowest possible cost. Q. Do you want a bid for a sprinkler system? A. Just call today for a free consultation.